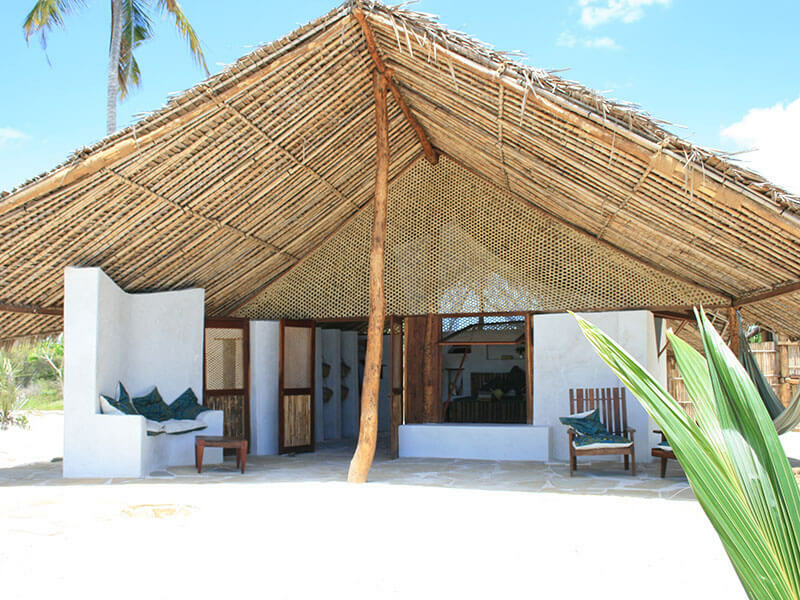 Beachfront Adobe Bandas are simple, private & spacious and provide the ultimate in barefoot luxury. 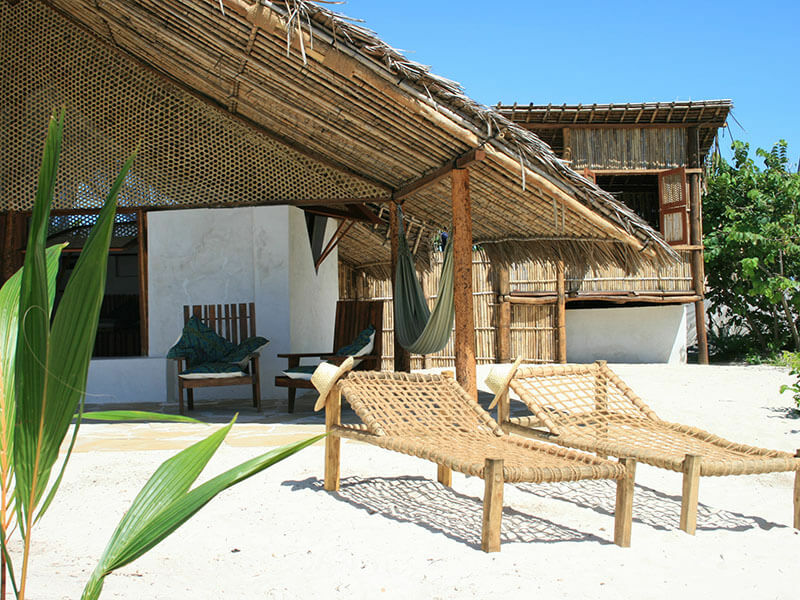 Each banda is footsteps from the beach and with the large double doors and window a feeling of openness prevails. 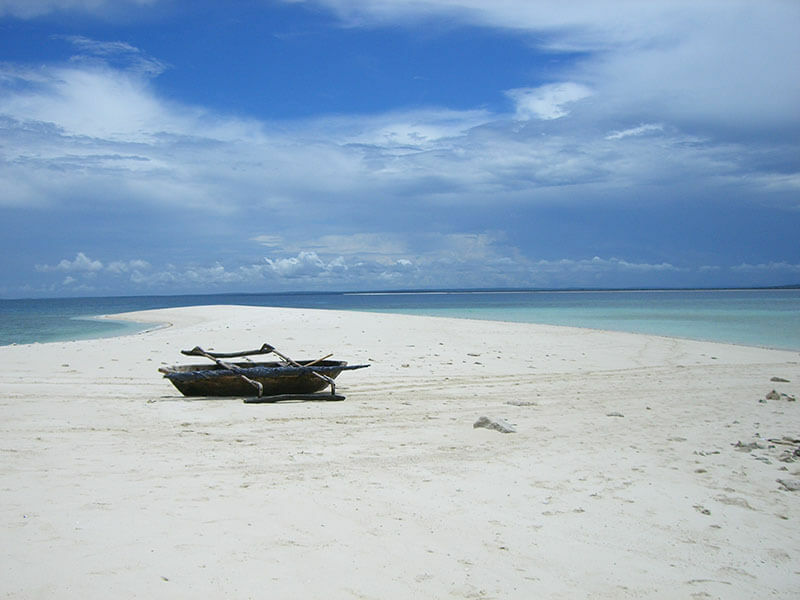 Savour the blends of the best of Mozambican and Swahili cuisine with the freshest foods straight from the sea and land. Enjoy homemade cocktails in the lantern-lit bar as the sun goes down and join in the local villagers when they share their dance culture with you.